The changing seasons bring changes to everyone’s lives. From the clothes we wear, to the food we buy, to the music we listen to, the changes in weather influence what we do. 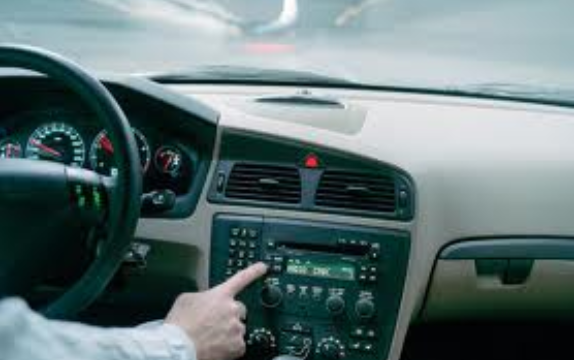 According to Nielsen Research (using portable people meter – PPM – ratings), the different seasons also affect what radio stations audiences listen to as well. In the summer of 2013, there was record-breaking growth in Country music. As we move into the fall and winter seasons, spoken word audiences are growing. Sports radio – a significant increase in listner shares in the age groups of 25 – 54 year olds. Sports also grew by double-digit percentages due to increased listening for fall football and Major League Baseball playoffs. News – as vacations end and people settle into regular work patterns, news/talk radio has grown by 6% across all demographics. 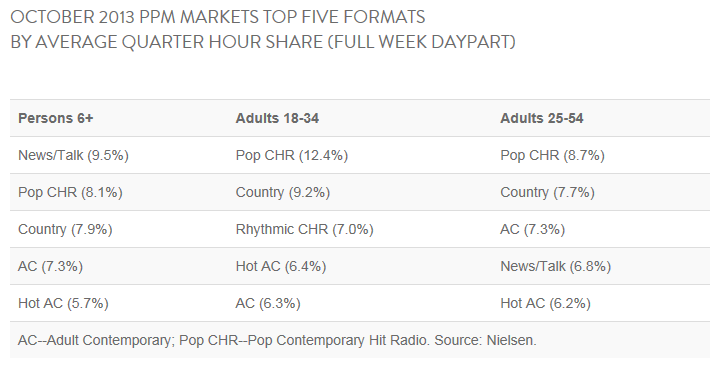 Hot Adult Contemporary (Hot AC) – this has been trending for some time and achieved the best 3-month performance in the 18 – 34 year old demographics as well as the best 5-month stretch for the 25 – 54 demographic. Discuss key components for creating effective radio advertising. Divide students into teams. Have each team select a product or target market. How should the radio purchase be adjusted for product and seasonality? Have each team develop a :30 and :60 radio ad for the product/market. What stations would be best for the ad?